WASHINGTON (Reuters) - The federal special counsel's indictment of Roger Stone, a longtime associate of U.S. President Donald Trump, in the Russia probe are unrelated to the president or the White House, Trump's press secretary said on Friday. 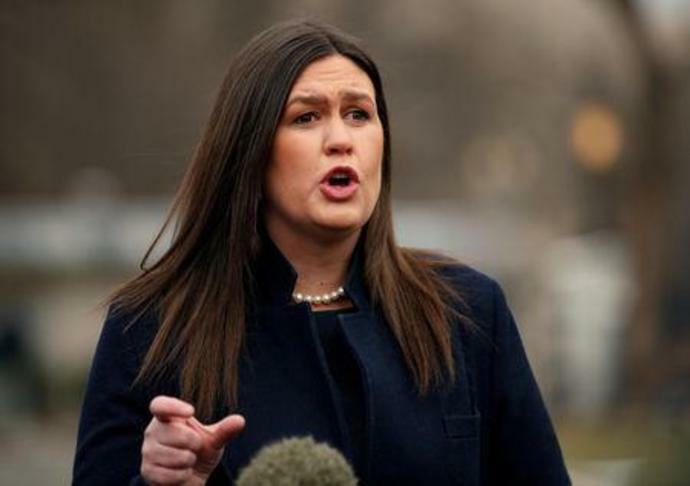 "The charges brought against Mr. Stone have nothing to do with the president, has nothing to do with the White House," spokeswoman Sarah Sanders told CNN. "The president did nothing wrong." Stone, who served as a campaign adviser for Trump's 2016 White House run, was arrested earlier on Friday, charged with seven criminal counts of obstruction, witness tampering and making false statements. He has faced scrutiny for his support for Trump during the 2016 presidential campaign, when he implied he had access to information obtained by hackers that could embarrass Democrats, including Trump's rival for the White House, Hillary Clinton. According to a grand jury indictment released by U.S. Special Counsel Robert Mueller's office, a senior Trump campaign official had spoken with Stone about the damaging information. Asked repeatedly if Trump had directed a senior campaign official to contact Stone about the stolen emails, Sanders did not directly answer, saying she had not read the indictment and referring specific questions to Trump's outside counsel. Trump's outside lawyers Jay Sekulow and Rudy Giuliani did not respond to a request for comment on the indictment earlier on Friday.